A collection of botanical, floral and garden images. Stock photographs accurately named and described by a professional author/photographer with 50 years of broad experience in the horticultural and garden industry. Photographer Lew Matthews is the author/photographer of 'The Protea Book' (2001), 'The Protea Grower's Handbook' (1993) and 'PROTEA - A Guide to Cultivated Species & Varieties (2016). He also wrote the books 'South African Proteaceae in New Zealand' (1983 and 'Proteas of the World' (1993) which were illustrated by noted botanical artist Zoe Carter who was commissioned by the author to paint the flowers depicted in the books. 'South African Proteaceae in New Zealand' (1983), a large format, art-style book was self-published and was a finalist in the New Zealand Book of the Year Awards. He also co-authored 'The Illustrated Guide to Garden Plants' (1979 and revised 1989) with the late Barbara Matthews and has contributed to a number of international gardening magazines. 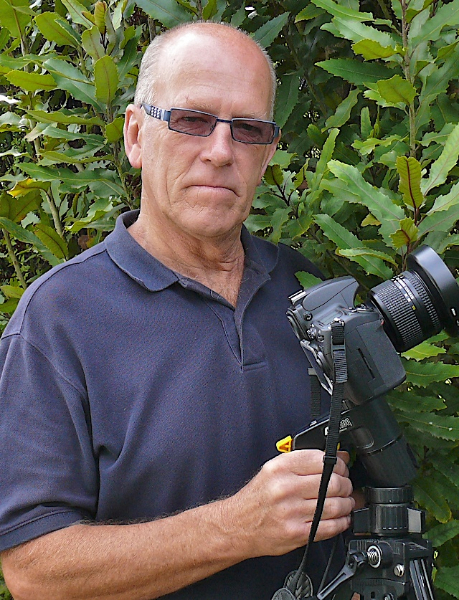 His photographs have been used in several internationally published garden books, on plant labels and in nursery catalogues. For several years he managed a major tree and shrub nursery and prior to that he was business manager of a well-known national gardening magazine. In 2010 he produced a 128 page 60th anniversary catalogue for a well-known New Zealand wholesale tree & shrub nursery. He provided the design, text and 690 images for this catalogue which won the prestigious 'Best Commercial Catalogue' award at the NGIA New Zealand Gardener Annual Awards for that year. His 5th book on the Proteaceae has just been printed and is a photographic celebration of the diversity and splendour of the protea family. It is a substantial work of 220 pages with 366 colour photos. Entitled 'PROTEA - A Guide to Cultivated Species & Varieties', it is currently being shipped to warehouses and scheduled for release in June/July 2016. Published by University of Hawaii Press. Signed editions will be available through this website. Watch for more details. PLEASE NOTE - PRICES ARE QUOTED IN AUSTRALIAN DOLLARS - AU$1 = approx.US$0.80c - converted to your currency at checkout.